Unless any previous thoughts you might have; it has never been any more cost effective than now to be moving from UK to Spain. Milky Way logistics based in the heart of London city, provides professional logistics services from UK to any parts of Spain. At Milky Way Logistics Ltd, our main and most recommended solution for moving from UK to Spain is the overland service. We offer a diverse range of vehicle sizes from UK to Spain on a daily service basis. Whether you are looking to send a small parcel from UK to Spain or is a large shipment of a few pallets or moving a house and full household in a container we are just there to assist you with your shipment. Unless the very small parcels that are required to be moved in a very short time for which we offer our expert express courier service, for the rest of large size shipments we just offer our expert overland service. Fancy knowing how much would it really cost to move from UK to Spain? We must first know some information about your shipment, its size and dimensions. For this you are recommended to fill in our Request a Quote form on our web site and provide us some details about your shipment and we will be there to contact you and assist you with a full offer at a most competitive rate and guaranteed transit. Depending on the size of your shipment from UK to Spain we can offer you different services from full loads and dedicated vehicles to part loads and combined services. If the shipping date and cargo readiness dates are recognised, then we would be able to offer a much accurate rate based on the position of the available vehicles. In our dedicated services which are also very competitive cost for shipments from UK to Spain, we can also provide same day deliveries when the transit time is an important constraint for your shipment. In order to get to know how much would it cost you to move from UK to Spain, please advise us on the dimensions of the shipment and the post code of origin in the UK and also the delivery address in Spain. This information could be sent to our email at enquiries@mwll.co.uk or it could be sent through the Request A Quote form on our web site and one of our expert team will be contacting you with a quote. Once the details of shipment are received by Milky Way Logistics, we check the best matches of vehicle size based on the cargo size and then we find the best available match in the area and we quote you the best and most competitive rates. 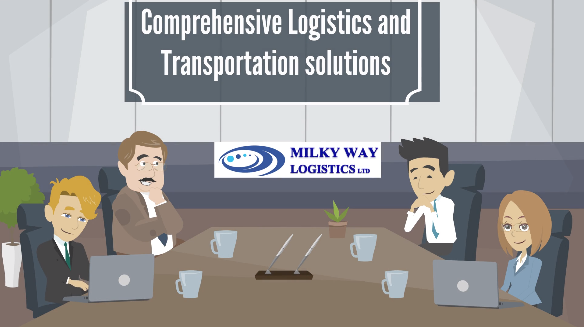 At Milky Way Logistics, we always offer trackable service, so you can trace your shipments all the way from its origin in the UK up until its delivery in Spain.